Over the last few days, there’s been a debate raging on Twitter about a seemingly unimportant question: what color is a tennis ball? Some say yellow, others say green, and even champion tennis player Roger Federer chimed in (he said “it’s yellow, right?“). Let’s not have that debate here, except to assert (as you’ll see soon) that Federer is right — they’re yellow. If you really want to insist that tennis balls are green, that’s fine, too; it doesn’t matter for our purposes. The bigger question? Why aren’t tennis balls white, like baseballs or golf balls? Or, more accurately, why aren’t they white anymore? That’s right: tennis balls used to be white. 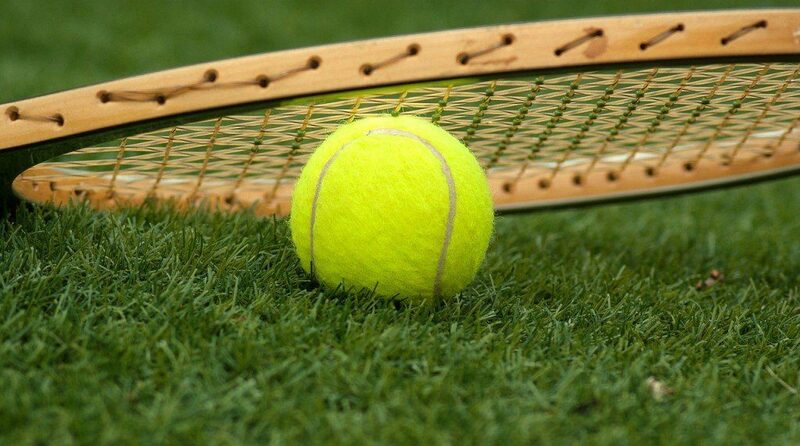 As recently as the mid-1980s, for example, when top pros took to England to participate in the annual Wimbledon tournament, they weren’t hitting yellow balls of fuzz. 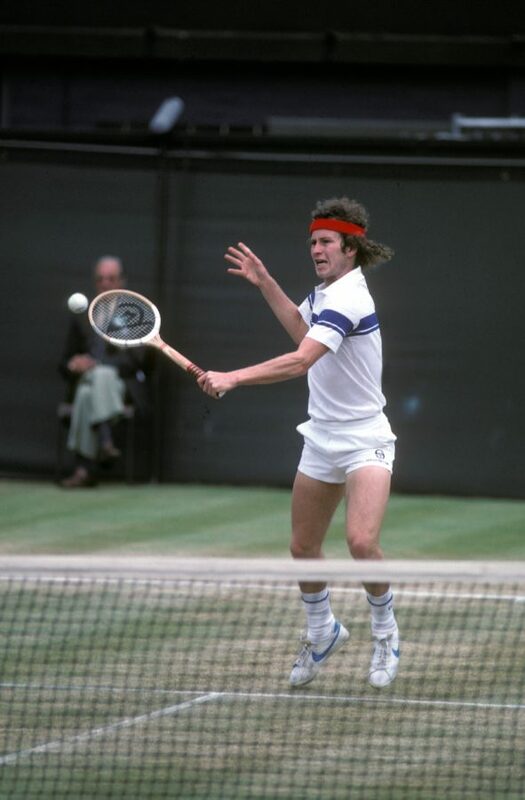 As seen in the photo below (via ESPN) of John McEnroe — it’s pretty clear that they’re using a white ball. Televisions became commercially viable in the 1920s and became commonplace over the next decade. In 1937, with much fanfare, the BBC aired a tennis match at Wimbledon for the first time. But it didn’t look like the photo above. For the first thirty years of Wimbledon on television, it was broadcast in black and white, as for most of that time period, the color TV hadn’t yet been invented, and certainly wasn’t something you found in most households. In the 1960s, that changed. Color TVs were increasingly popular, and the sports world had to react. In 1967, the BBC broadcast the tournament like it always did, but this time did so in color. Many other tournaments had already made the switch and many others would follow. By the early 1970s, if you were watching tennis on your TV, you no longer were doing so in black and white. In the 1970s, the International Tennis Federation responded by looking for a non-white option for tournaments. After much research, the ITF decided on a color which would appear well on television and landed on something called “optic yellow” or sometimes, yes, fluorescent lime green. Regardless, it was easier for those watching at home to follow along. In 1972, the ITF first authorized the yellow tennis balls we use today for competitive use. In 1986, Wimbledon — the final holdout of tennis’s four major tournaments — gave in to the needs of technology and adopted the optic yellow ball. Since then, players of all levels and abilities have done the same, even though few of us will ever play tennis on television. And today, we take for granted that tennis balls are yellow (or green, fine). From the Archives: Television Dreams: The unexpected impact that television had on our mind’s eyes.